Last week, I kicked off my small world series with a post about a coincidence that had happened to me. I find fate and coincidence so interesting that I wanted to open up the series to other people who wanted to join in. As predicted, first in line was my husband, so here is his story about a strange thing that happened to us a few years ago. Whilst travelling in New Zealand in 2008, myself and my girlfriend (now my wife) were lucky enough to go on a whale watching tour in Kaikoura. In case you’re not familiar with Kaikoura, it is a beautiful bay on the East Coast of New Zealand. From there, you can often see dolphins, orcas, seals and several different species of whale. 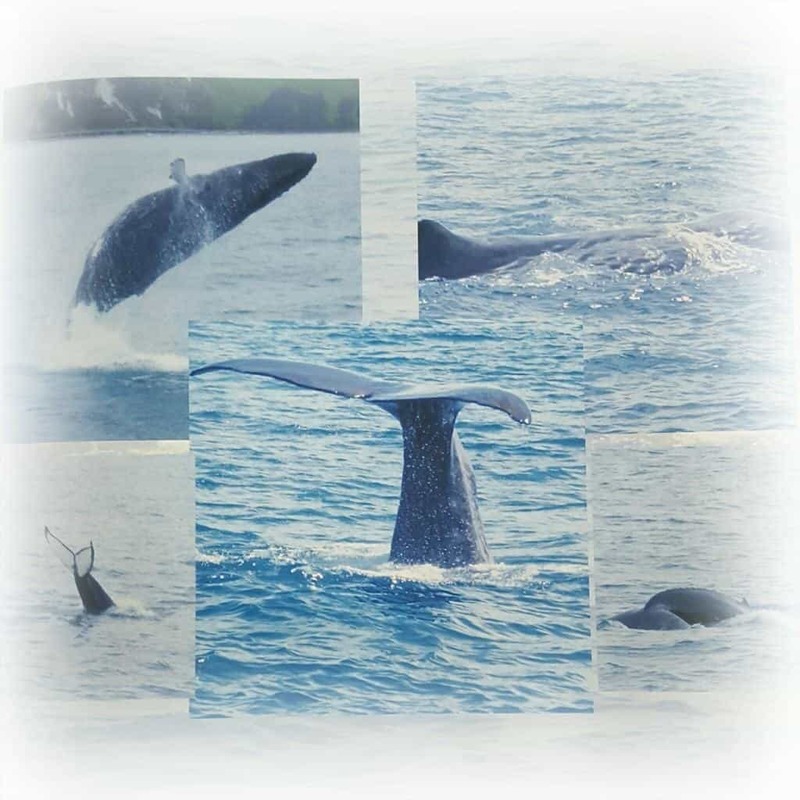 The people who run the tours are quite confident that customers will see a whale, as there is a resident sperm whale that can usually be found in the area. That said, the trip we went on was really quite exceptional. Orca are very seasonal in New Zealand and had not been seen around Kaikoura for the past six months. Not only did we see a pair of orcas, we also saw dolphins and the resident sperm whale which is pretty much guaranteed. What isn’t guaranteed is to see the sperm whale diving, complete with the classic tail-flick. However just as the boat was about to head back into shore, there was some chatter on the radio and we diverted to another location. When we arrived, there was a migrating humpback visible in the water. Incredibly, the humpback was breaching – throwing itself out of the water. For such an enormous animal, this is quite a feat and is incredibly impressive to watch. The whole trip was so amazing that even the guides on the boat were taking photos throughout. Chatting to them afterwards, the staff were raving about what an exceptional trip it had been and how it was the highlight of their careers working on that boat. Fast forward to 2010 and a visit to Tobermory on the isle of Mull, Scotland. During an evening seal and dolphin watching tour, we got talking to the guide. We discussed that we had visited New Zealand in 2008 and mentioned about our holiday touring around the islands on a motorbike. We were interested to discover that he was also in New Zealand in 2008 and from there, the conversation moved on to Kaikoura and that fateful whale watching trip. To my great surprise, when I launched into my tale of Orcas, sperm whale, dolphins and the amazing breaching humpback, the person I was talking to finished the story for me. I knew there was something familiar about him when we boarded the boat that evening in Tobermory. He was the same guide from our whale watching trip in Kaikoura. Wow, that really was a coincidence! What a privilege to have been on that trip and seen such spectacular sights. Wow that’s pretty amazing!! Seeing all the orcas and whales sounds so fantastic and to see the same guide. What a small world! Is Tobermory the same place they film Balamory? Wow that is a coincidence. I have recently discovered a very good internet friend is married to the guy that used to work behind my small student union bar – where I pretty much lived throughout my University days! Wow, that is a coincidence isn’t it? This is an interesting series! I am very much intrigued by “coincidences” as well. I think there’s always a deeper level of significance to these events or people who walk into our lives.